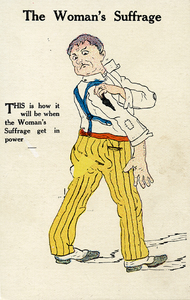 Drawing of an angry man wearing patched and ripped clothing. 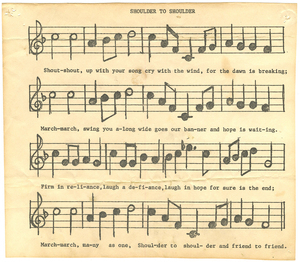 His suspenders and collar are unfastened, and he looks over his shoulder to examine a tear in his sleeve. 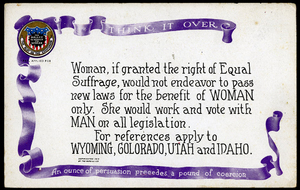 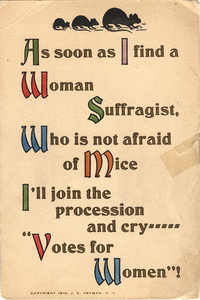 The caption reads,"This is how it will be when the Woman's Suffrage get in power." 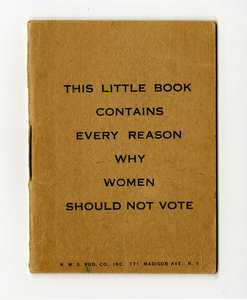 Small booklet consisting of blank pages. 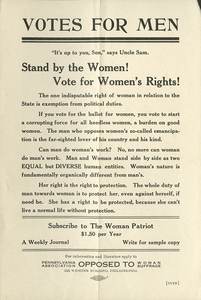 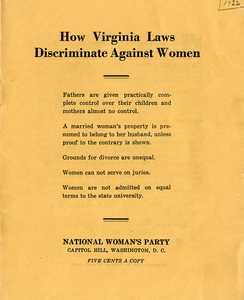 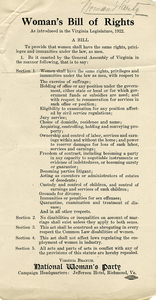 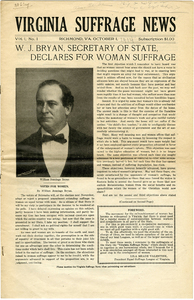 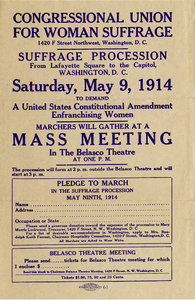 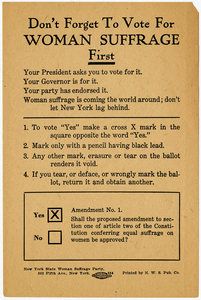 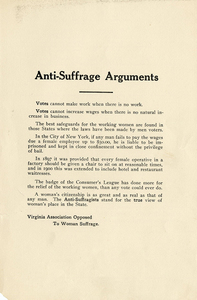 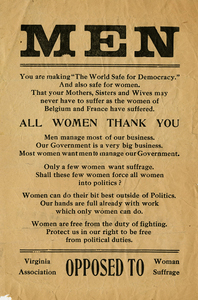 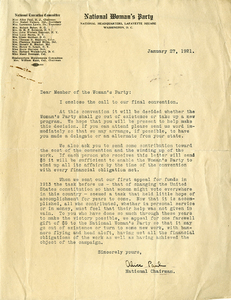 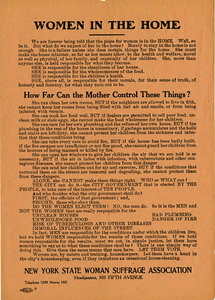 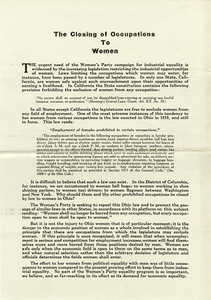 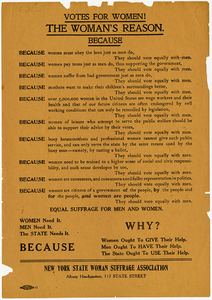 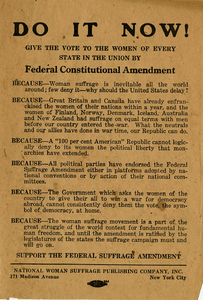 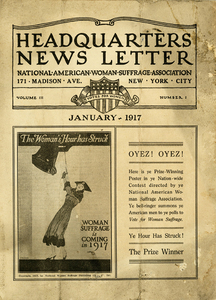 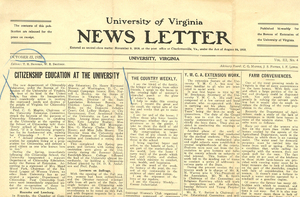 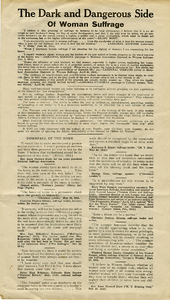 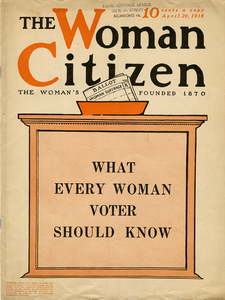 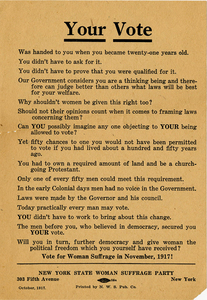 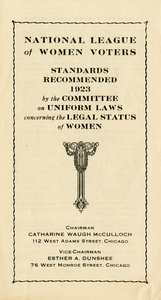 This headquarters newsletter was published by the National American Woman Suffrage Association in January 1917. it contains suffrage-related news and commentaries of the time.